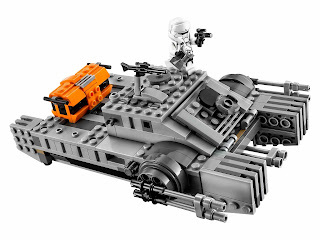 come with a imperial assault hovertank. 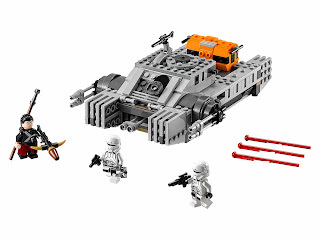 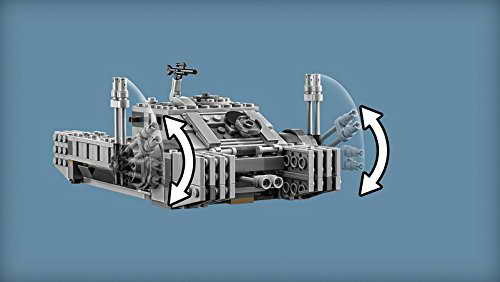 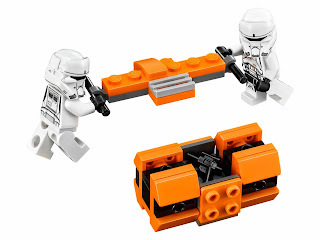 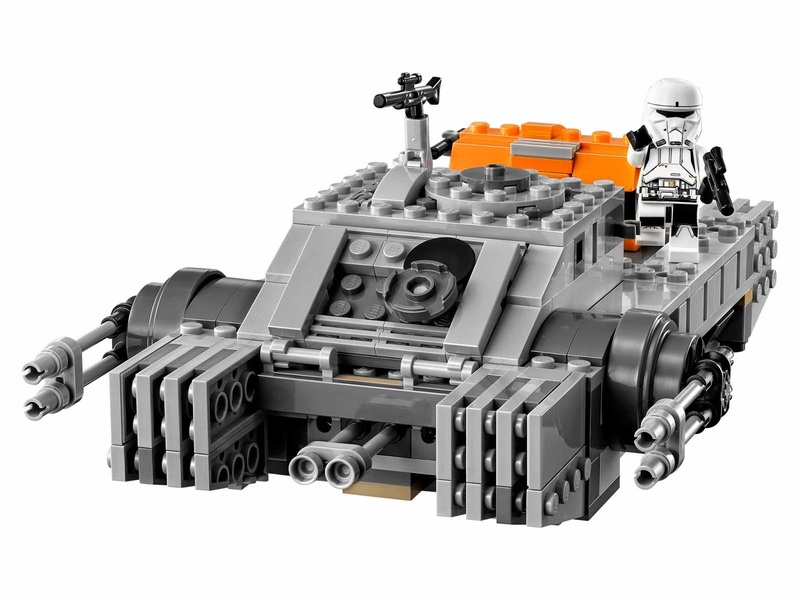 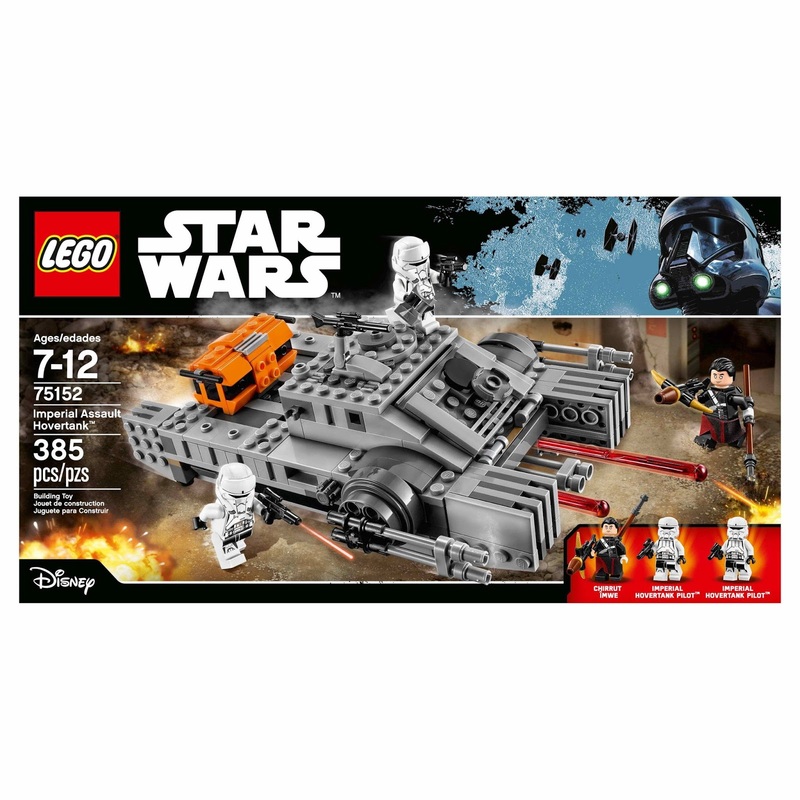 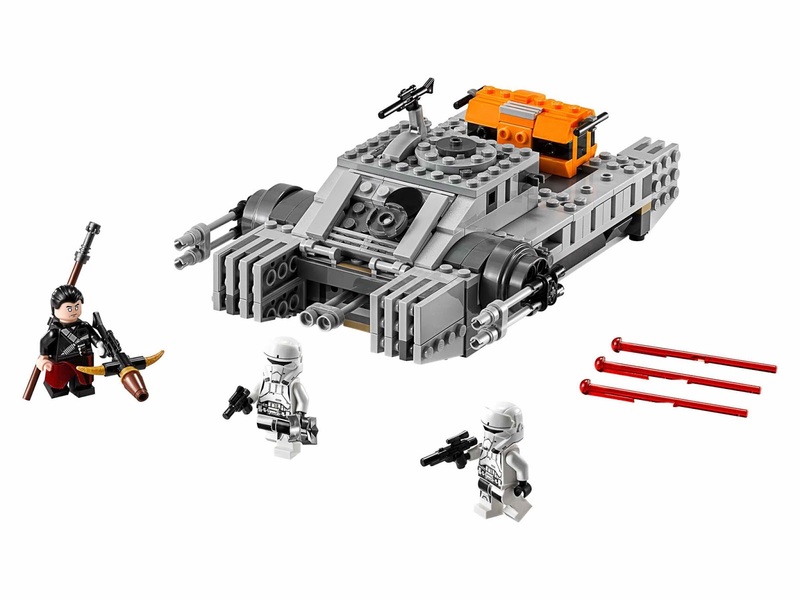 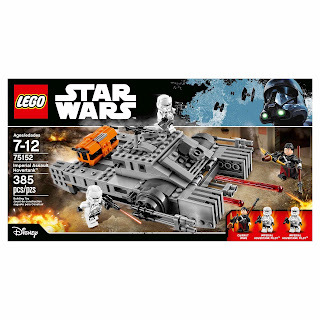 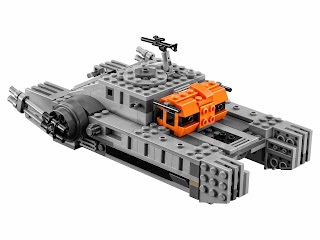 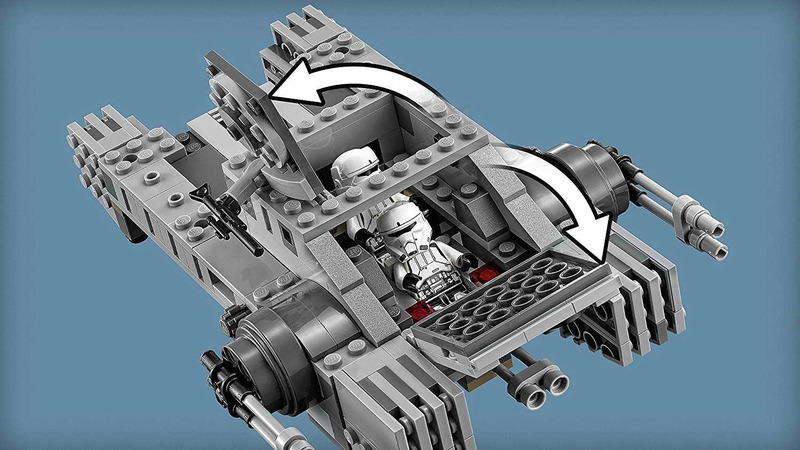 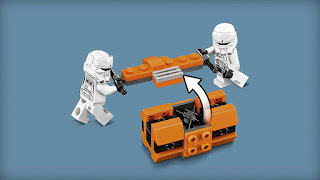 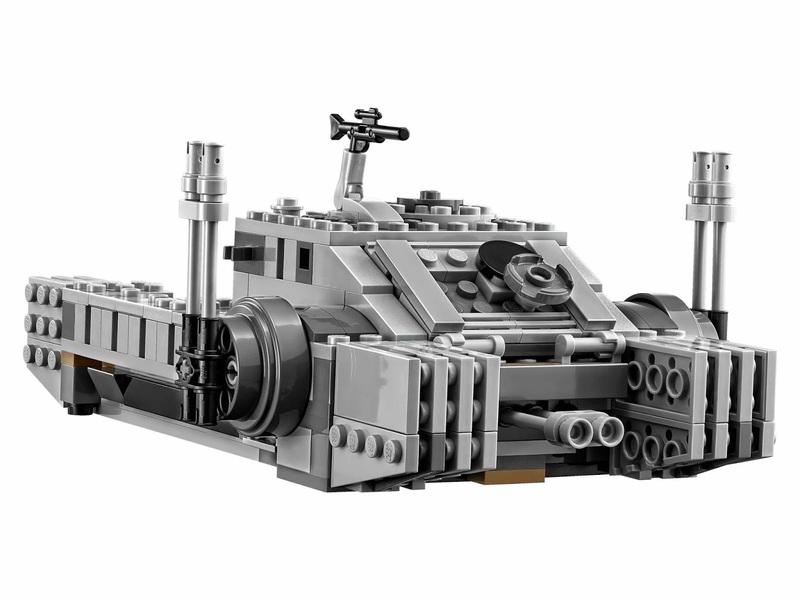 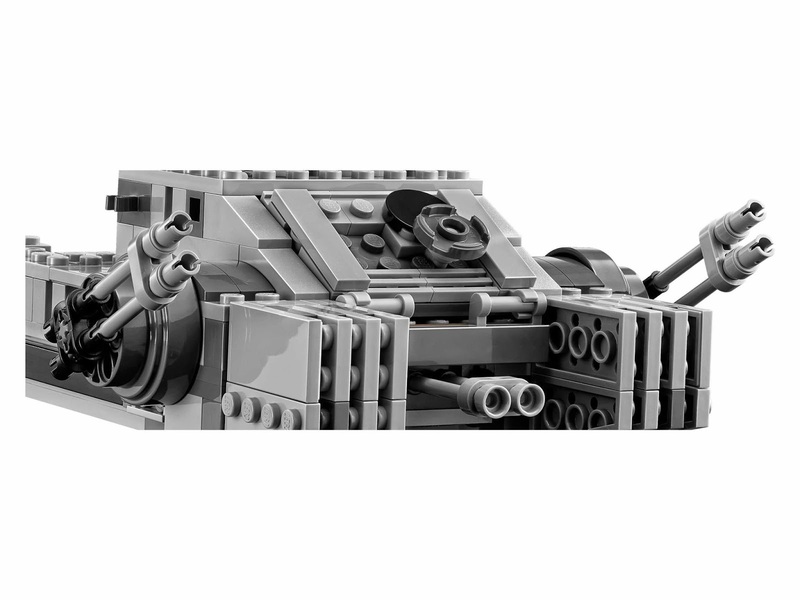 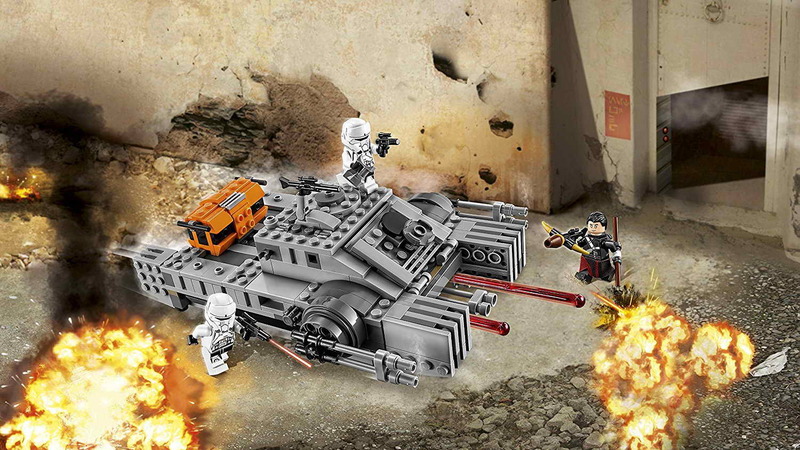 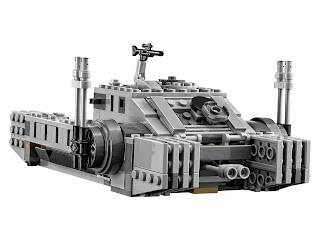 the tank has heavy armor, transparent wheels, a rotatable and elevatable turret gun with dual spring loaded shooters, storage container and an openable two minifigs cockpit and elevatable side guns. 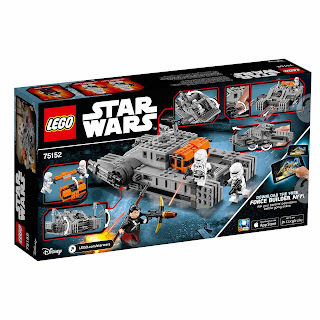 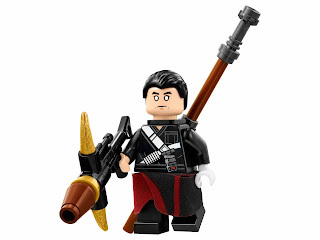 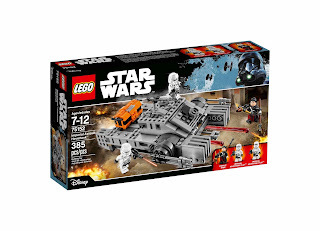 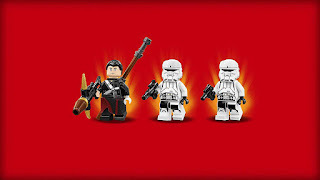 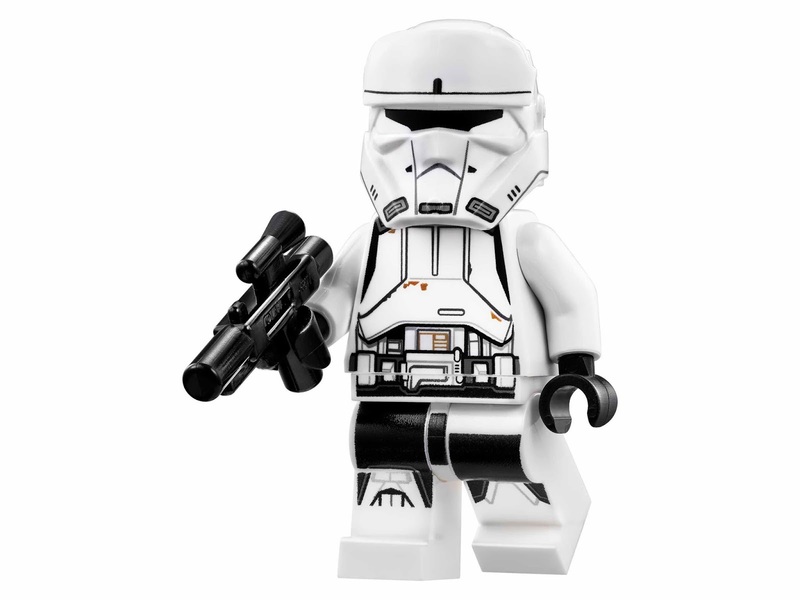 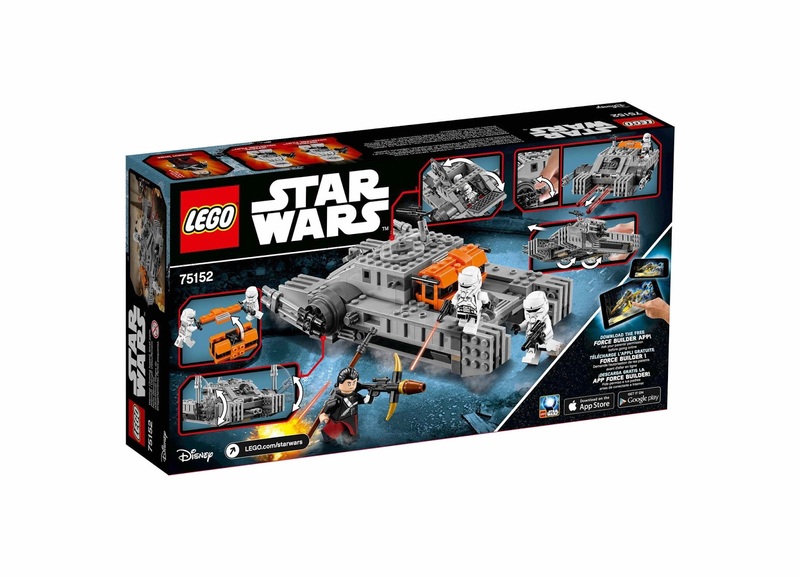 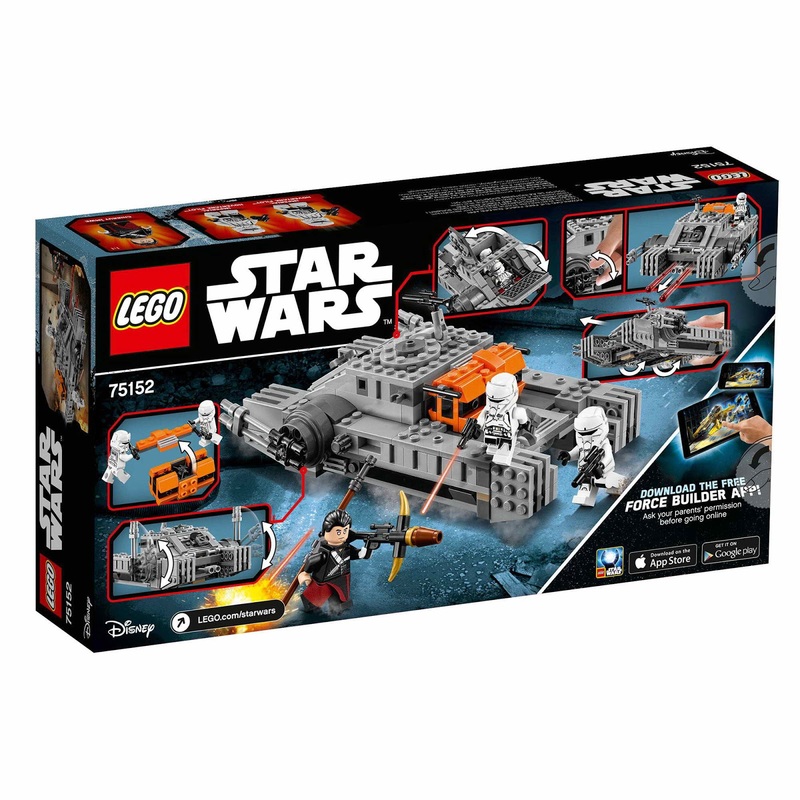 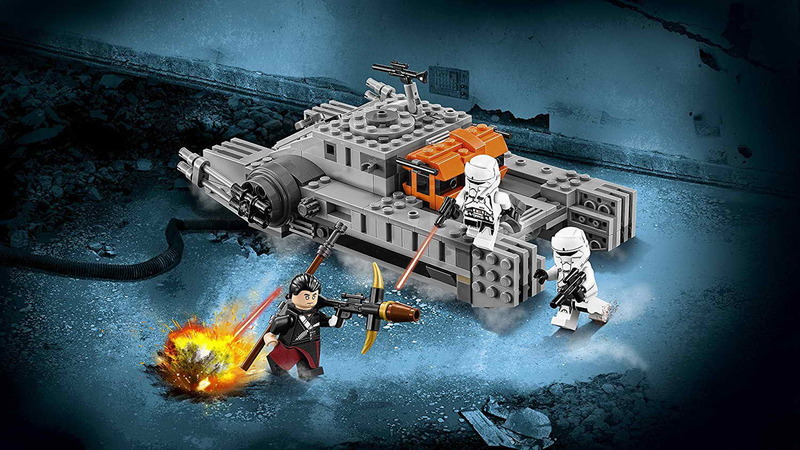 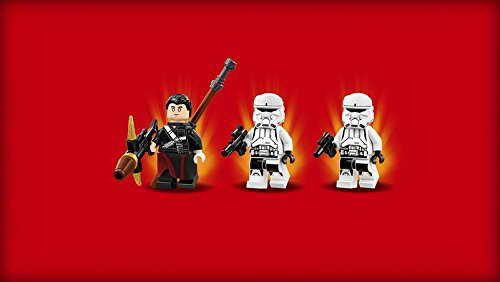 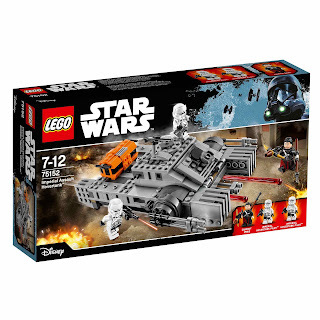 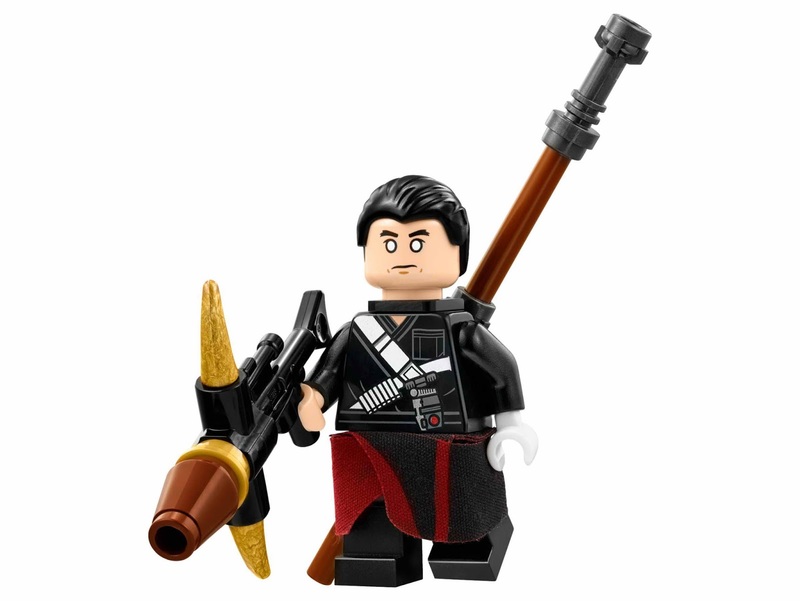 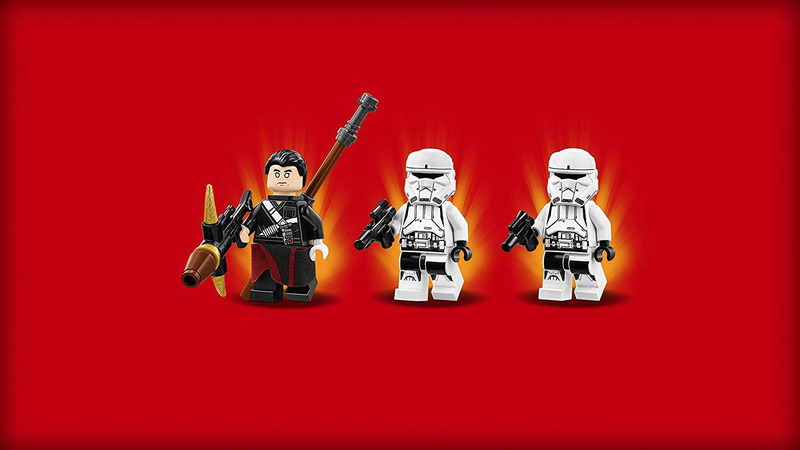 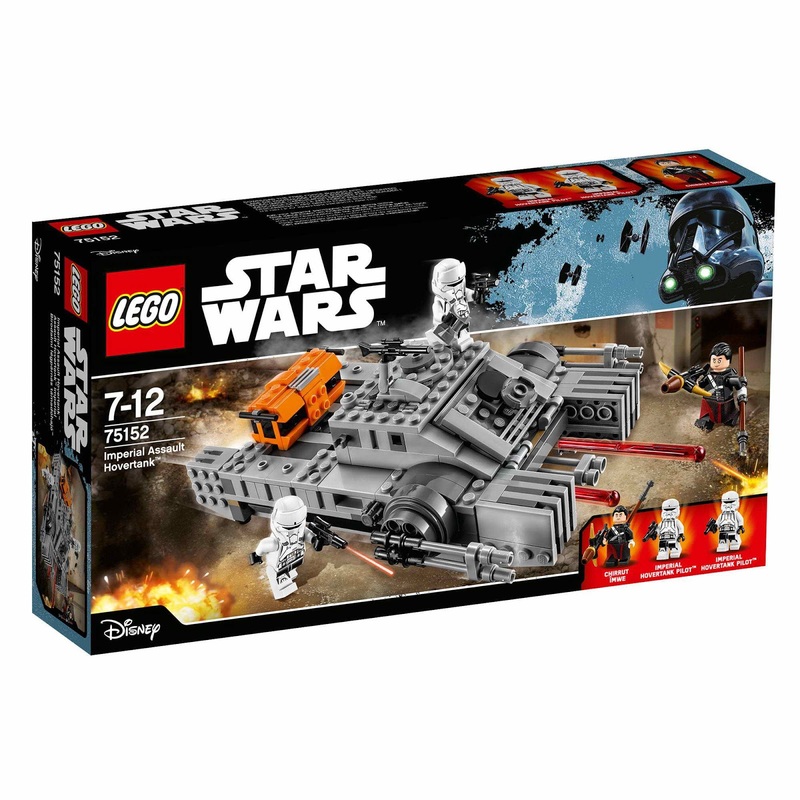 minifigs included a chirrut imwe minifig and 2 imperial hovertank pilot minifigs.